Creative Shade Solutions is locally owned and operated by Shawn Flynn in North Lakes. The company provides professional and reliable shade sail, outdoor blind, awning and outdoor umbrella installations on the Brisbane northside and Sunshine Coast regions. 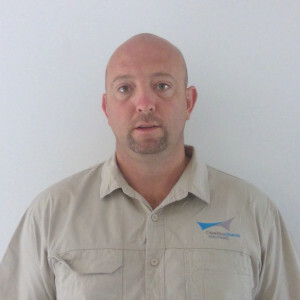 Shawn is a trade qualified boilermaker with over 15 years of experience in the construction industry. He is experienced in the design, manufacture, and installation of custom-made shade solutions and provides advice with product knowledge of shadecloth, canvas, PVC or vinyl as well as external awning mesh. Initially started as a shade sail installation business; Creative Shade Solutions has expanded to include awnings, blinds, PVC structures, and other solutions. Shawn works with a local fabricators to ensure local clients are provided with shade solutions as soon as possible. We have available information on choosing the right outdoor blind, as well as general information about shade structures. If you are looking for a shade solution to protect your assets or family then you should give Shawn at Creative Shade Solutions a call on 0437 345 905.